This recipe was definitely quick and easy. The only thing my boyfriend and I found wrong with the finished product was the very dominant taste of egg. Other than that, a great recipe. 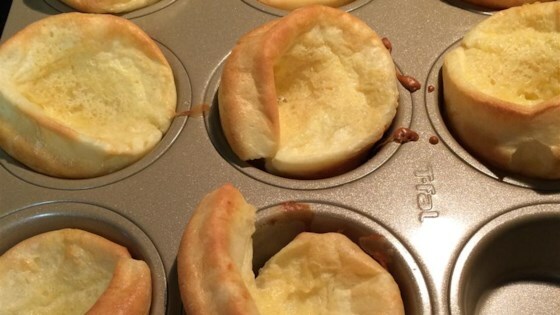 After having tried many yorkshire pudding receipes, this one was not only the easiest, but the best tasting. My family raved, this one's a keeper!! Very good recipe. Something that should be considered is to let your eggs come to room temperature before making. When cooking the yorkshire will rise and puff higher.